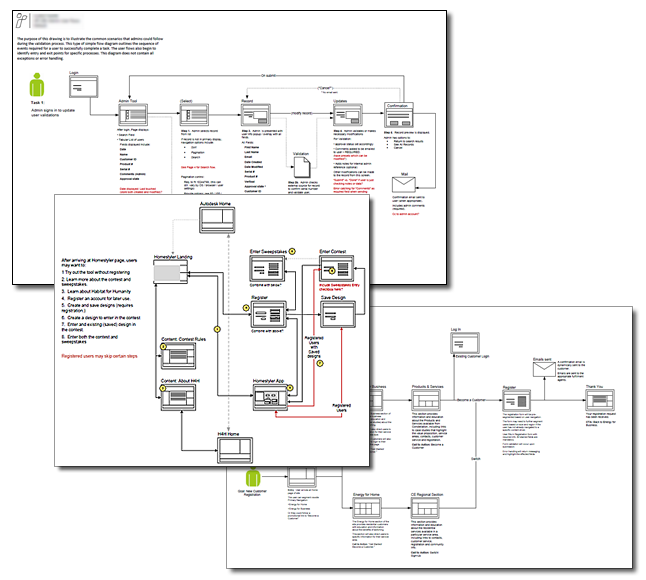 Annotated diagrams capturing conceptual storyboarding and anticipated user decision processes, as determined by business analysis of stakeholder feedback and conducting strategic brainstorming / whiteboarding sessions with creative team. 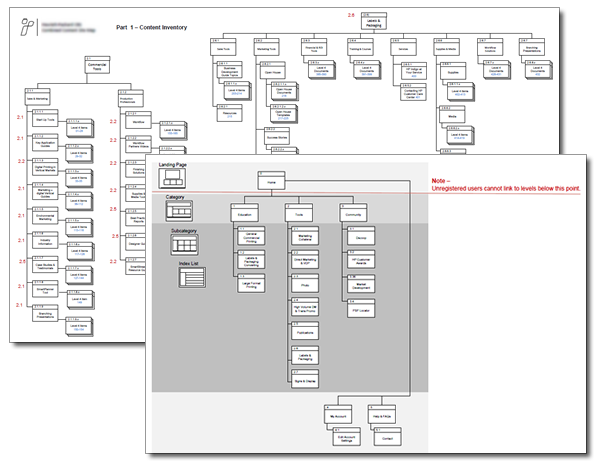 Diagrams of website / portal / application taxonomy and relational structure as determined by content inventory, current structure and stakeholder feedback. 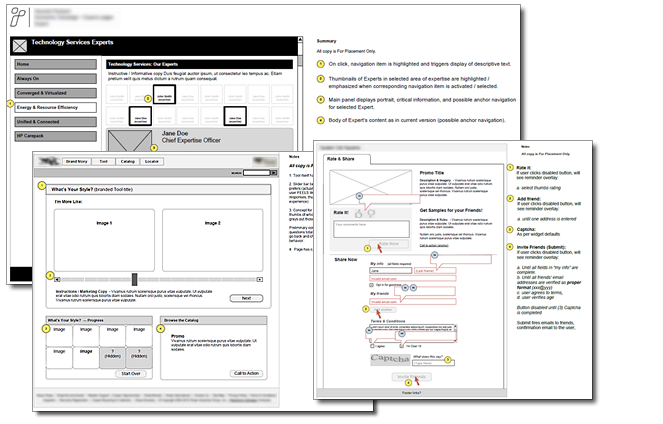 Illustrative examples of conceptual layouts enabling strategic visualization & providing documentation of specific page template types and design patterns; rendered without design elements to facilitate and clarify focus on interaction design and usability without the distractions of design and branding.